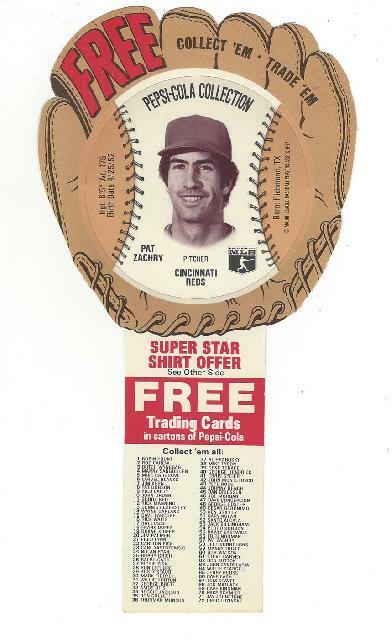 Vintage 1977 Pepsi Cola Trading Card Carton Insert Featuring Pat Zachry of the Cincinnati Reds. Condition (Near Mint). Size: approx. 9-1/4'' T.
Shipping within USA only. Ship using USPS or UPS. For items purchased on same day, I will try to combine shipping to save on costs. Misidentified items may be returned. 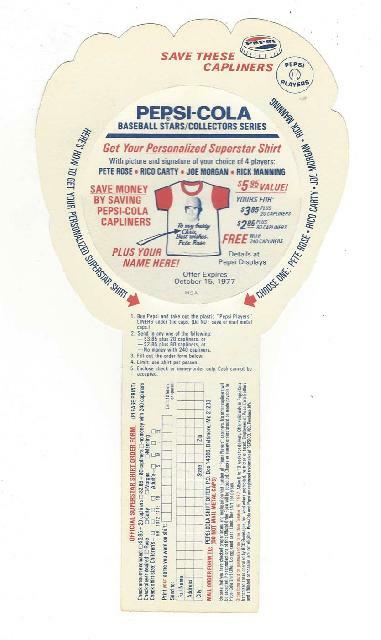 Any returns should be within 5 days of receipt. Please notify me of any item being returned. Shipping costs are not refunded. We do not charge any state sales tax. The fun is in the Hunt. I sell only so I can Hunt. I love collecting but everything I own has a sale price except my dog. BTW, I do not own my wife.